The Justice Funders Steering Committee is an active governance body that provides strategic direction and leadership to guide the mission and operation of the organization. Myra Chow is Senior Director of Nurturing Equity Movements at The San Francisco Foundation. A seasoned grantmaker and philanthropic consultant with over 25 years of experience, Myra brings to the Foundation a broad range of community health expertise, from managing substance abuse prevention programs for low income youth to developing grantmaking initiatives to educate at-risk populations about HIV/AIDS. 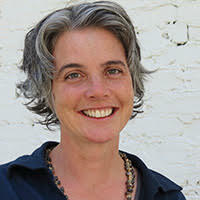 She also currently serves on the UCSF University Community Partnerships Council. Before joining The San Francisco Foundation, she held numerous leadership roles at the Gap Foundation, Levi Strauss Foundation, Community Youth Center (formerly Chinatown Youth Center), the U.S. Peace Corps, and served as an independent consultant for a variety of foundations and nonprofits. Myra holds a Bachelor’s in Human Development and Family Studies from Cornell University and a Master’s Degree in Business Administration from Yale University. As Program Manager for Strategy Development and Dissemination at the California Endowment, Alex is responsible for working with key senior-level Building Healthy Communities (BHC) staff to sharpen the core elements of the BHC strategy and disseminate this strategy to key audiences and venues. She also leads strategic initiatives that span multiple BHC sites, including initiatives related to displacement and gentrification, criminal justice reform, and governing for racial equity. Prior to joining The Endowment, Alex served as the Local Policy Manager for the Alameda County Public Health Department (ACPHD). While there, she oversaw the implementation of Place Matters, ACPHD’s first local policy initiative for advancing health equity through social and environmental policy change in criminal justice, economics, education, housing, land use, and transportation. Alex is the recipient of the Mabel Goode Management and Planning Award and the Davenport Research Award for Public Policy. She earned her B.A. in American Studies, with honors, from Wesleyan University in Middleton, CT, and her Master of Social Welfare (MSW) with a Management, Planning and Policy focus from the University of California, Berkeley. Kathryn is Executive Director of Ceres Trust, a private foundation that supports healthy and resilient farms, forests and communities; and the ecosystems upon which we all depend. 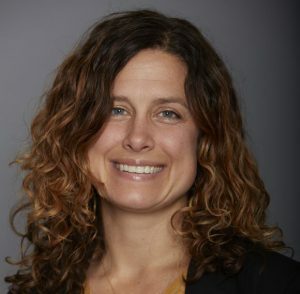 Before joining Ceres Trust, Kat was co–director of Pesticide Action Network North America; co–founder and organizer with Centro Campesino; and senior associate at the Institute for Agriculture and Trade Policy. She received her organizing training through the Voices for Racial Justice apprenticeship program, and from the Farm Labor Organizing Committee, Gamaliel Foundation, and Center for Third World Organizing.Kat serves on the steering committee of the Health and Environmental Funders Network; the Funder Allies Caucus of the Building Equity and Alignment for Impact (BEA for Impact) network; and the Integrated Rural Strategies Group of the Neighborhood Funders Group. She is an incoming Fellow at the RSF Social Finance Integrated Capital Institute. Kat graduated from the University of Minnesota’s College of Food, Agricultural and Natural Resource Sciences. 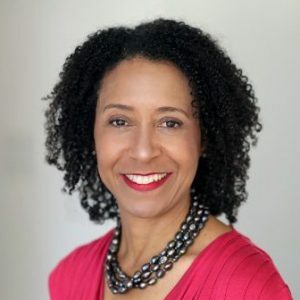 Crystal brings to The Libra Foundation a wealth of domestic and international experience across a broad spectrum of equity-focused issues. For six years, Crystal lived in Singapore where she built bridges between civil society and emerging donors in Southeast Asia to address income inequality and climate change. As managing director of the Aspen Institute’s Environmental Fellowship, Crystal designed a global leadership program focused on the food system’s impact on the environment. Previously, Crystal was CEO of the Blue Shield of California Foundation where she spearheaded work to achieve universal health coverage. She also led a groundbreaking initiative at The California Wellness Foundation to shift youth violence prevention from a criminal justice issue to a public health effort. She has served on the boards of the Center for Effective Philanthropy, Northern California Grantmakers, Asian Venture Philanthropy Network, and Grantmakers in Health. Most recently Crystal was appointed by Governor Jerry Brown to serve on the California State Board of Food and Agriculture. Crystal is a graduate of Yale University and Stanford’s Graduate School of Business. 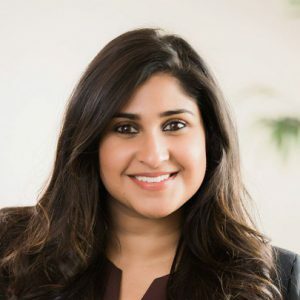 As Metta Fund’s Director of Programs, Shally oversees all aspects of the foundation’s communications and grantmaking strategy as well as the Fund’s convening, collaboration, and community partnership work. Prior to joining Metta Fund, Shally worked as a local Bay Area strategic grantmaker at The San Francisco Foundation in the Community Health Program and within the Partnership for HOPE SF, a citywide public-private partnership to increase economic opportunity for low-income families in San Francisco. A native of the East Coast, Shally was formerly with the Philadelphia Department of Public Health, and led the evaluation work of their Tobacco Policy and Control Program. She was selected as a 2016 Terrance Keenan Institute Fellow for Emerging Leadership in Health Philanthropy by Grantmakers in Health. Shally has an undergraduate degree as well as a Master of Public Health, both from the University of Pennsylvania. David Moy joined The Hyams Foundation in 2006 as the program officer for the civic engagement/community organizing strategy. 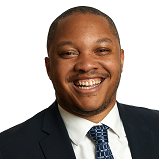 He is a graduate of the Boston Public Schools and Brandeis University. He began his career as a community youth worker. 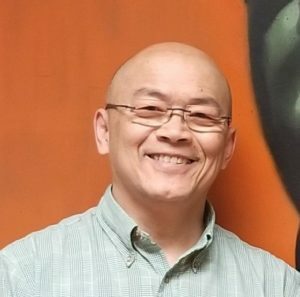 Just prior to joining the Foundation, he served for 15 years as the executive director of the Boston Chinatown Neighborhood Center and for three years as the regional coordinator for the Jamaica Plain Community Centers. David also co-founded The Chinatown Coalition, an ongoing network of community agencies, institutions and faith-based groups and continues to serve as Clerk of the Chinatown Trust Fund committee, which has disbursed nearly $3 million in community grants. David was selected as a Eureka-Boston Fellow and participated in the 2002-2004 cohort. He is actively engaged in the Boston chapter of the Asian Americans/Pacific Islanders in Philanthropy (AAPIP) and a founding and ongoing member of the Saffron (Asian giving) Circle.